The 6T is the first OnePlus phone with official US carrier support. Although their phones have always worked on the network, this is the first time you can purchase and finance the phone directly from a T-Mobile store. To make the deal even more enticing, the already low-priced phone will be even cheaper. Starting November 1, T-Mobile is letting new and existing customers get $300 off when they trade in one of 30 different eligible devices. Included on that list is every OnePlus model ever made. The problem is that like many phones officially released through T-Mobile, the carrier is making rooting difficult. Instead of allowing the phone to be unlocked with fastboot commands out of the box, T-Mobile is locking down their version with a token code which you must request first. To make matters worse, you can't get this token unless you pay off the phone, which, when following their Equipment Installment Plan, would be after two years. Without an unlocked bootloader, rooting will likely be impossible. However, the variant sold through OnePlus' website will not have the issue, and remain the best phone for rooting. The issue with the T-Mobile version of the OnePlus 6T starts with the deal itself. First, T-Mobile is only selling the Midnight Black version of the phone. 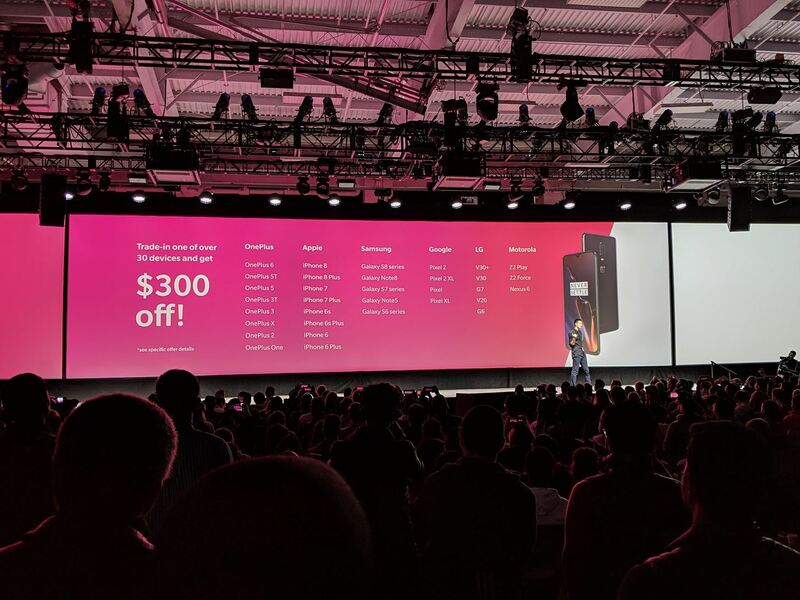 This means the cheapest OnePlus 6T sold in T-Mobile stores will be $579 compared to the $549 Mirror Black version sold through OnePlus' website. Then there is the $300 off. This discount is a bill credit which will be spread over a two-year Equipment Installment Plan. Starting with your second bill cycle with the phone, your T-Mobile bill will decrease by $11.67 ($300 divided by 24 months). For JUMP users, to take advantage of this discount, you would need to buy the phone in full and trade-in an eligible phone. JUMP On Demand customers would have to purchase the phone in full and pay off the remaining balance. Once the trade-in was received, they could take advantage of the offer. But the biggest issue is you need to pay off your phone to unlock the bootloader. 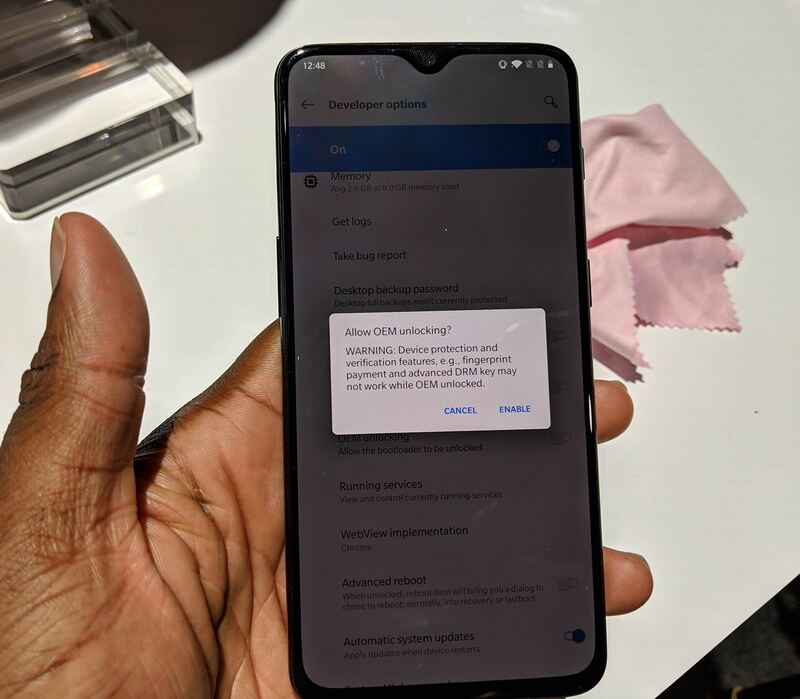 Unlike the SIM-unlocked OnePlus 6T that you can buy from the manufacturer, you can't use fastboot commands to unlock it. Instead, you have to request a token from this website, and this code will only be provided once your phone is paid off in full. But what if you wanted to pay off the phone right away? Well, you will then deal with two problems. The first is in order to take advantage of the $300 off, you have to wait the 24 months since the discount comes in the form of a bill credit. This means that if you end the lease in the first month by paying $580, you will lose the bill credit. Okay, so what if you skipped the bill credit altogether and paid the full price? T-Mobile will still make you wait. After chatting with a OnePlus rep at the phone's unveiling, we were told you will still need to wait 40 days to request the token. In other words, the phone needs to be paid off and 40 days must have passed since purchase before you can get a bootloader-unlock code. Your SIM must remain active during that time, so you have to keep paying for service through T-Mobile specifically. After the 40 days, you can request the token, unlock the bootloader, and enjoy TWRP, custom ROMs, Magisk, and Xposed, which your fellow OnePlus 6T users with the SIM-unlocked version were doing over a month ago. And just to add insult to injury, during the 40 days or two years you have the phone unrooted, your phone will have T-Mobile bloatware. According to XDA member charlie620, this includes T-Mobile apps, a T-Mobile boot animation, and T-Mobile sounds. Oh, and you lose dual SIM support since the T-Mobile variant only supports a single nano-SIM. If you love rooting and modding your phone, you need to pass on this deal. There is no winning this situation. Either you pay for the phone in full, wait 40 days, and lose the credit, or you finance your phone and lose rootability for two years. If you love this phone's easy ability to root and enjoy having complete control over the phone, give the T-Mobile variants are hard pass. I'm going to assume you received mis-information rather than being malicious, but I want to clarify some things. There is a HIGH chance the phone supports dual sim with 6T tray and the official 1+ ROM once unlocked.